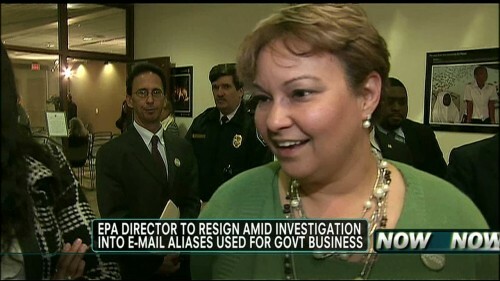 Brief 2: There may be a cover up, but it appears that EPA’s Administrator and Obama appointee, Lisa Jackson, had set up and used private email accounts to conduct EPA business. That may sound harmless enough except for the big fact that it is ILLEGAL! What are the Obama Administration officials trying to hide. So much for the most transparent administration ever. This article was published on Feb 20, 2013 . It is tagged chamber of commerce, coal, email, epa, lawless, lisa jackson, national review, news briefs, obama, war on coal. You can follow any responses to this article through the comment RSS feed.